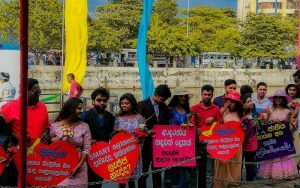 A musical evening under the theme ‘A tomorrow without dowries or caste issues’ organized by several organizations including the Socialist Youth Union (SYU), ‘New Wings’ and several others was held yesterday (14th) to celebrate the Valentine’s Day. 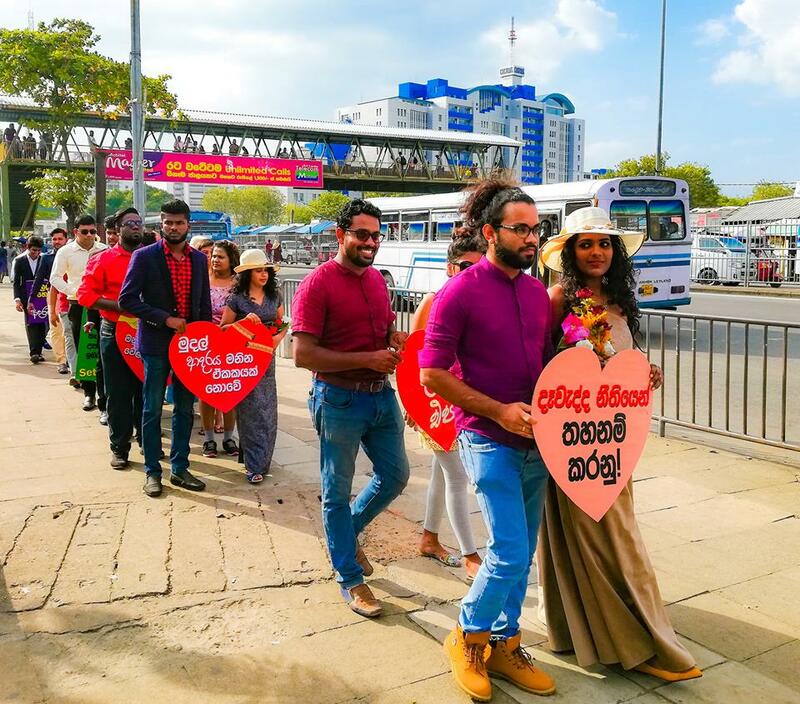 The celebrations were held centered around the Floating Market in Colombo Pettacentrede youths that participated in the celebrations apprised the public that Valentine’s Day has been made a day to make unlawful profits by certain elements in the society. 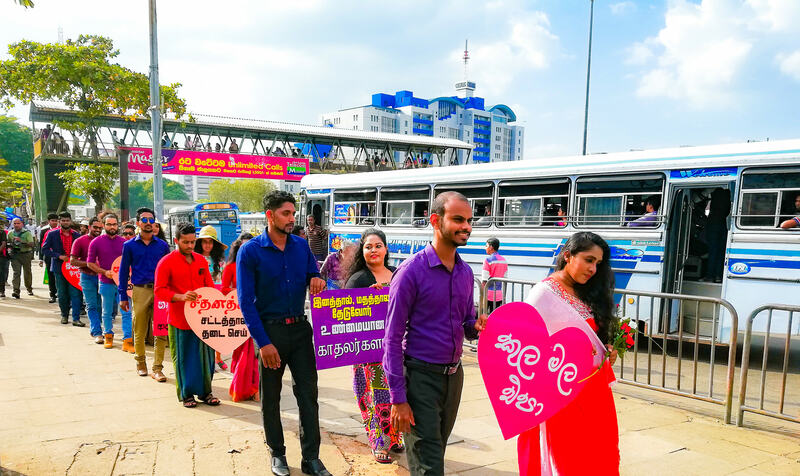 ‘Despise dowry system’, ‘Money is not a unit to gauge love’, ‘Love is a human bond – not a commodity’ were displayed on placards carrying youths who held a silent agitation opposite Fort Railway Station. 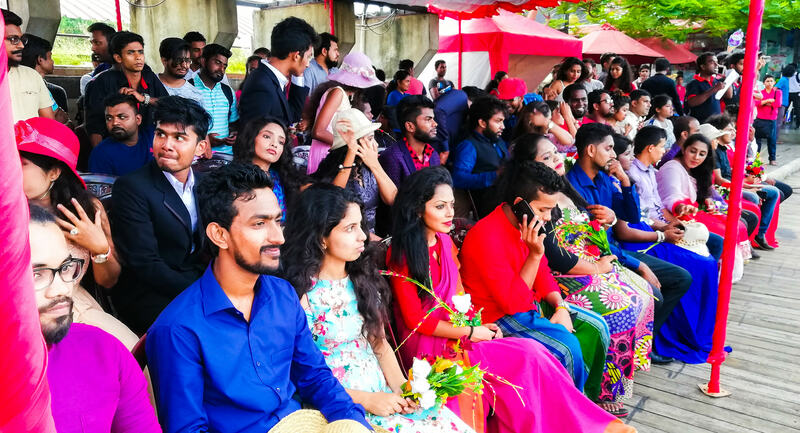 The lovers’ Musical Evening was made colourful by the participation of Ravi Siriwardene, Kaushalya Kumarasinghe, Wimal Katapearachchi, Sudntha Maddhwa, Visakesa Chandrasekaram, Samanali Fonseka, Thanuja Jayawardene, Sulakshan Ashokan, Nadee Wasalamudaliarachchi, Sivalingam Anu and several others.